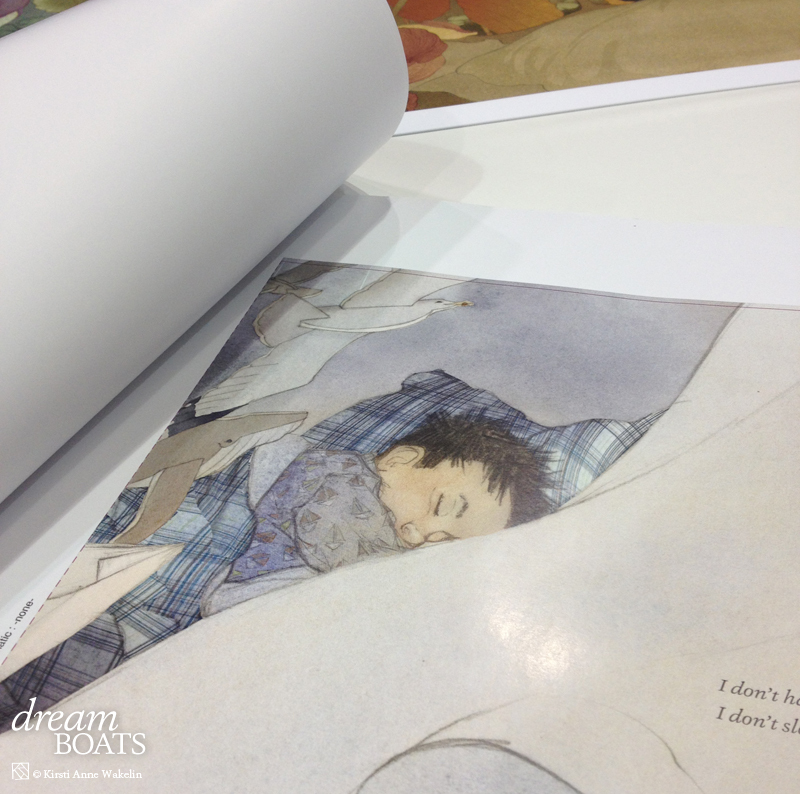 This is it, my first quick glimpse…4 years after the first exploratory sketches, and after many, many late nights and working-weekends the day has finally come, I have that first proof of Dream Boats. This is more exciting than I can properly express here. I had just a quick look at it at the booth at the ALA and it’s now sitting on my dining room table waiting for daylight so I can get a proper look at the colour. Despite the excitement, the process won’t truly be over until I have the final copy in my hands. This is the first book that I’ve both illustrated and designed, so it is an extra thrill seeing it in print for the first time. So far, so good. But I’m looking forward to daylight when I can give it a proper looking over. 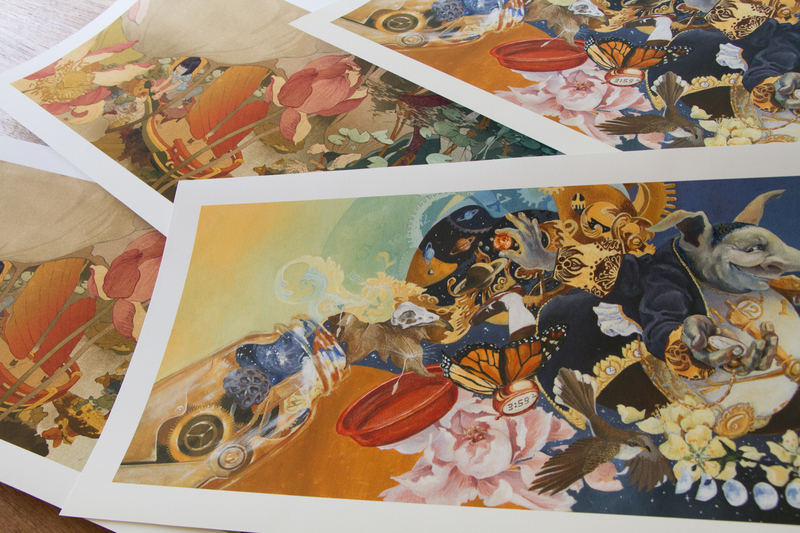 All the best for the final print! Can’t wait to see it too!